Hope you’re doing all sorts of lovely things! Great photo! Just discovered your blog, loving it! 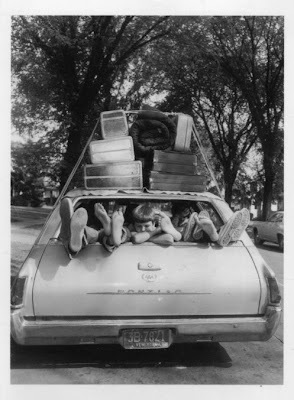 Brings back memories- my family travelled in the full size, wood- panelled station wagon of the 70s! two ships we are...you are leaving, we are just getting back. Have a wonderful time while I stay here and catch up on your blog. Cheers! Best of luck, and wishing you a lovely, lovely time! Ha! Cute photo! Have fun! !